Quality control for critical Life Safety Systems that are owned and operated by a large variety of building owners throughout the jurisdiction. Consumer Protection for the Owner with independent inspection of Contractor supplied systems and work. Consistent Network Performance when individual systems are designed and installed by a variety of contractors. The system functions in the event of an emergency. 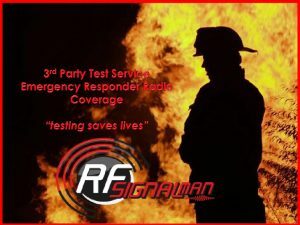 Interference Free Operation and mitigation of negative impacts to the Public Safety Radio System. Maintains ethics by eliminating a conflict of interest. Controls the test process and acceptance criteria. Produces accurate measurement results utilizing an automated test platform to reduce human error. Keeps the decision process with the AHJ. Ensures the quality of the end product.